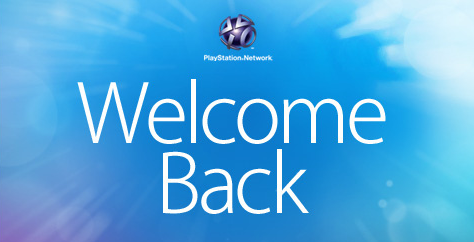 PlayStation Network Back Up And Running–Claim Your Free Games! Anyone have a PlayStation 3 and plays online via its PlayStation Network (PSN)? Listen up! As you will no doubt know by now Sony has had a hell of a time over the last month with numerous security breaches (one leading to the network’s spectacular downfall last month) which has caused massive inconvenience to its millions of customers worldwide. Because of this inconvenience, Sony want to say sorry by giving away 2 free games and 30 days free subscription to its PlayStation ‘Plus’ service. To quote the blog directly, “Today, we’re excited to launch the Welcome Back program to thank you for your loyalty”. While all of these games have been available for quite a long time (at least a few years) at least Sony are trying to win back votes and giving away free stuff (everyone loves free stuff). I’d pick LittleBigPlanet and inFAMOUS on the PS3. If I had a PSP, I’d go with LittleBigPlanet and Killzone Liberation. Even though the games are older, for free choices they aren’t too bad. I’m on XBOX 360 so lucky for me XBOX Live has been up and running fine but for all your PS3 owners out there, get back on your network and download your free games while this “Welcome Back” program is running!